Our clients are saying great things about us! Read the testimonials below or go directly to YELP and see for yourself! Just bought my first BMW this year (yes, there will be more), and my fiancée gave me Dan’s business card immediately. I was about to schedule the oil change, but my car made an emergency trip for a water pump. Dan’s price for both, along with misc stuff was $600. Quite reasonable. I love my car. I love it even more knowing I have a reliable, honest, skilled professional looking out for me and my car. Dan had my little convertible ready in one day, and I was happy to pay such a reasonable charge. I’ve passed his name and number to a few others. I will continue to do so with confidence. Dan makes other mechanics look really bad. He is not the normal mechanic! I look forward to future maintenance visits. Outstanding!!!!! 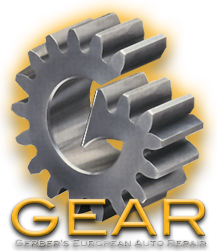 I am so happy we found Dan and his team at GEAR! I drive a SMART car and there are very few mechanics in town who can work on it. Dan was honest and highly skilled when it came to fixing my car. He was also fair with pricing which I cannot say about the Mercedes dealership. If you have a German made car, this is the place to take it to get serviced/repaired. If you are looking for a high-quality, low-cost, and honest alternative to the dealership, you have found your man. Dan Gerber is the owner and sole mechanic of GEAR, a German-only garage situated in the Cleveland flats. Dan works on German cars only which emphasizes his specialized skill. He does all his own work to ensure that his high quality standards are met each and every time. I met Dan only a few weeks after purchasing my first Audi A4 Quattro. Though it was still under the manufacturer’s warranty, the dealership refused to repair the three bolts that they stripped on my wheel hub (I had only taken my car to an Audi dealership previously). They wanted to charge me $850 to replace the entire wheel hub. I gave Dan Gerber a call. He asked me to stop down anytime and that he would take a look at it for free. Free? The dealership wouldn’t even look at me without an $85 diagnosis fee. So, a few days later, without appointment, I stopped down and Dan took me in right away. He re-threaded my hubs and replaced my bolts while I watched. What better transparency than that? I was up and running in about 30 minutes. The charges, $40. Unbelievable! Dan saved me over $800, and because he does all of his own work, I was assured that a skilled mechanic was doing the work and that an apprentice wasn’t doing more damage than service (see stripped bolts above). After he finished, Dan took a stroll around my car and noticed so many things that I would never have noticed. He knew that the car was in a fender bender three years ago and pointed out exactly where the impact was. I knew from the Carfax that the car was in an accident, but I struggled to find out where the collision was. Dan also pointed out almost microscopic dents and imperfections in the body. Dan is not an auto body guy, but he can tell from the exterior where the interior might wear and tear. This attention to detail shows his overall car knowledge and passion for perfection. I was apprehensive to buying a German car as I was intimidated by the costs of the aggressive maintenance schedule. I feel relieved now that I know an honest mechanic that will consistently deliver high quality and value. Being from Germany, this guy has a lot of knowledge of and passion for German cars. He is very straightforward to deal with, is reasonably priced and works very efficiently. Once I had a car that was kind of a lemon. He advised me to sell it rather than him do more work on it. Such honesty is rare in mechanics. Lately have been taking my E39 to him lately with no regrets! 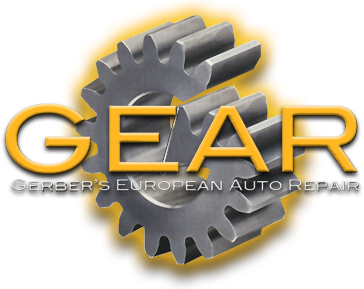 I took my 2006 Audi a4 Quattro to Gerber’s European Auto Repair to assess whether there was a problem with this vehicle’s HVAC. This was a newly purchased used car, and never having owned an Audi before, I wasn’t sure whether I had a problem that needed to be addressed or merely that Audis are just different from what I was used to. Mr. Gerber interrupted a project he was working on to get my vehicle into his shop, promptly hooked my car up to his computer diagnostic equipment and, while it conducted its assessment, took the time to explain how my Audi’s HVAC system worked. After the scan showed that there were no identifiable problems, Mr. Gerber manually checked a number of things and was happy to report that nothing was out of order. This whole process took about 25 minutes and, when I offered to pay him for his time, Mr. Gerber refused. He merely asked that I keep his shop in mind should anything go wrong in the future. Needless to say, I was very much impressed with Mr. Gerber’s professionalism and candor. Many other shops would have “confirmed” my concerns and charged me an arm and a leg for work that didn’t really need to be done. Mr. Gerber seems quite knowledgeable and and certainly honest, two traits sadly lacking far too often in this industry. Best place to get your German cars serviced! I recently found Dan and took my BMW to him because I had some suspension problems. Dan and his team have all the necessary equipment and knowledge required to work on German cars. He quickly diagnosed what was causing the problem and fixed it at a reasonable price. I also had my battery replaced/programmed and an alignment done. I’ll definitely use his services in the future. I had a problem with my VW Beetle Diesel that I have been trying to fix for 6 months (hard start in the cold weather). I took it to dealership, and after $1,000, and a request for another $400, I pulled the car out because it was obvious that they didn’t know what they were doing. I also took it to several other mechanics that didn’t know how to fix the problem. Dan was my last hope! I could tell by talking to Dan over the phone, that he knew what he was doing and understood the fundamentals of a diesel engine. He not only fixed the “hard starting” in the cold problem, he also fixed a number of other issues with the car. And this was done at a reasonable price. I was very pleased with my experience, and it gives me piece of mind to know that I now have a someone that I can take my car to that I trust and that I know will do an outstanding job every time. Click here to read all of our reviews on YELP!